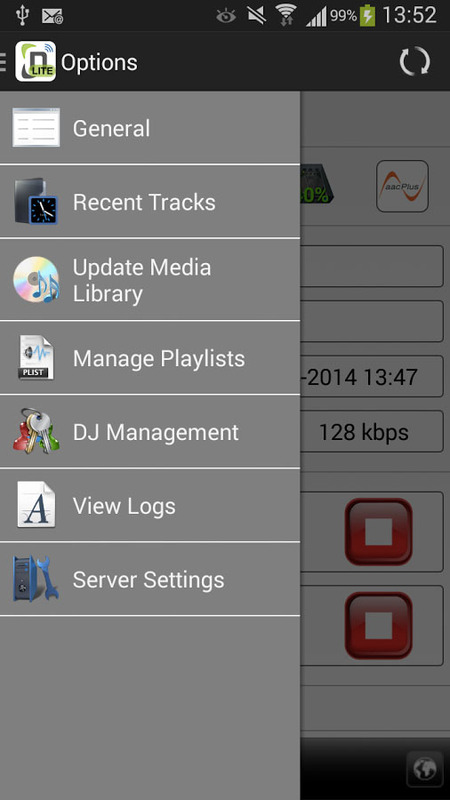 Centova Cast, SHOUTcast and ICEcast FREE Android Mobile Apps. 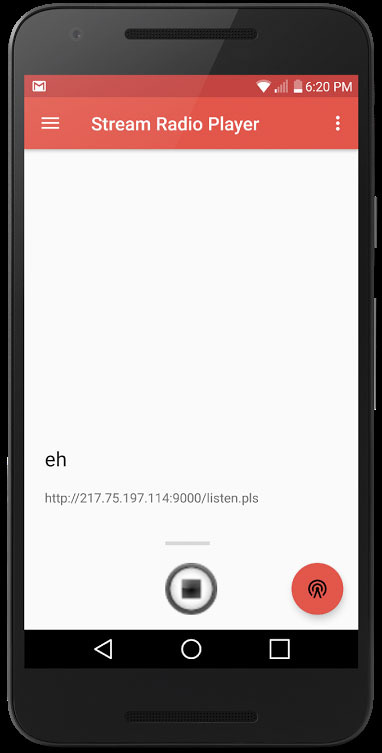 Control your Centova Cast from your mobile device, broadcast live with your SHOUTcast or ICEcast server from your mobile device and listen to your SHOUTcast or ICEcast from your mobile device. 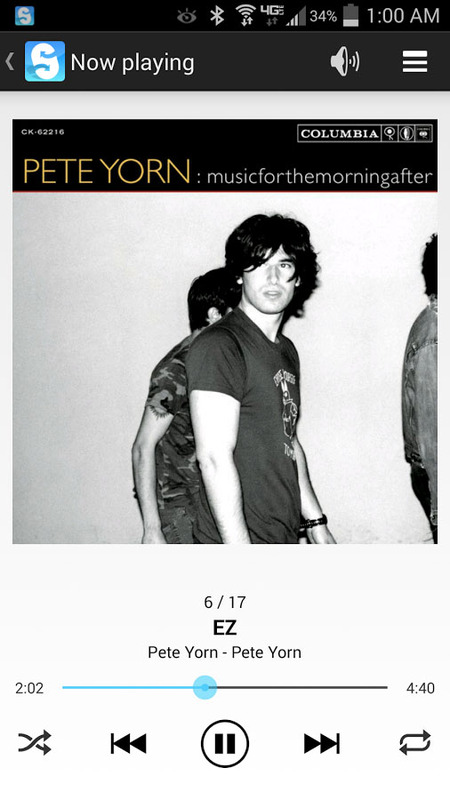 -It shows now playing status if available on your streaming. 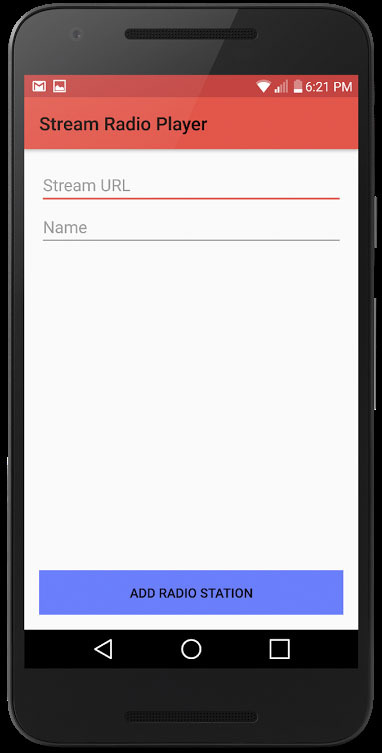 -It will reconnect the stream if your streaming server disconnects. 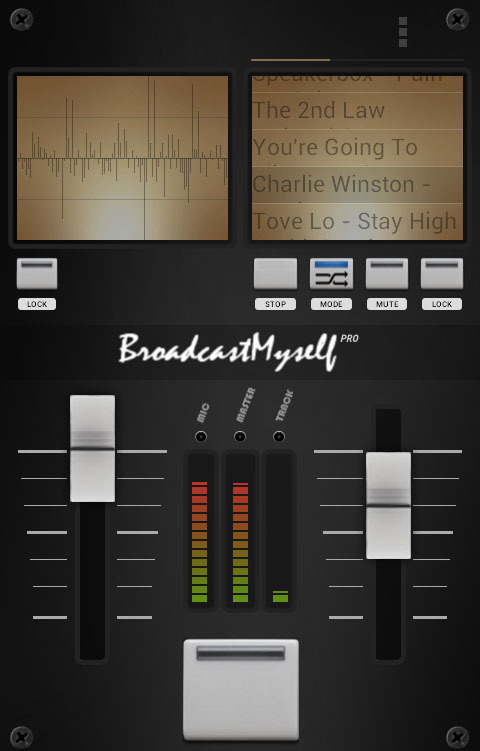 -You may use Shoutcast v1/v2, Icecast. 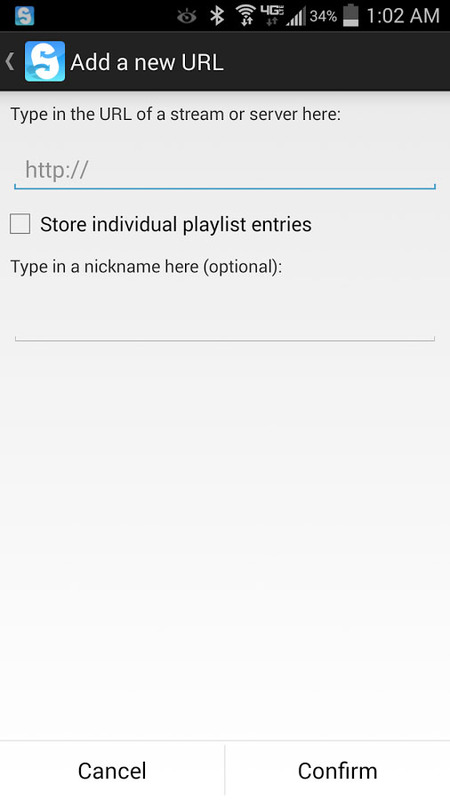 -It doesn't support pls, asx, qtl and other playlist format. 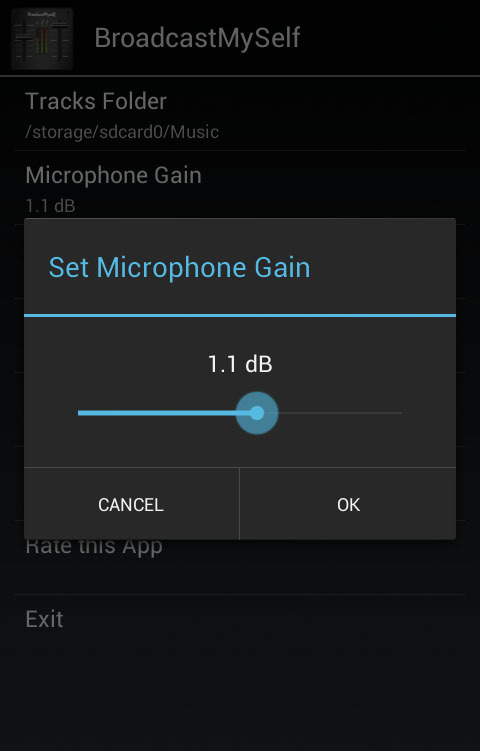 -Supports Android version 2.3 and up. 2. 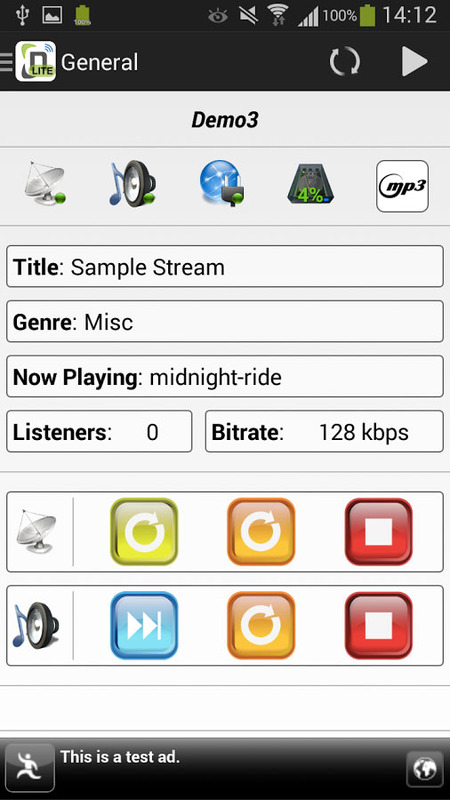 To add stations, click on + sign. 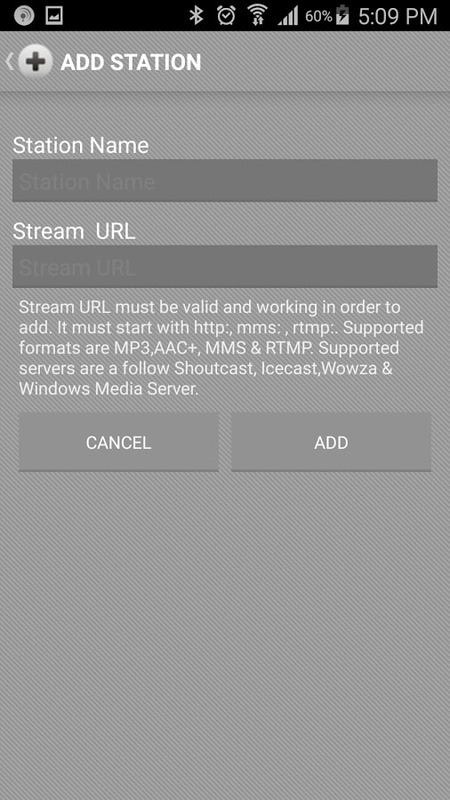 Add your station name and stream URL. 3. To Edit, long click on station name and select edit. 4. To Delete, long click on station name and select delete. 5. To play, just click on the station you wish to play. 6. To stop, click on stop button if playing.